Educational marketing can be tricky. To stand out, you need to be unique, but many of the questions parents have are universal. 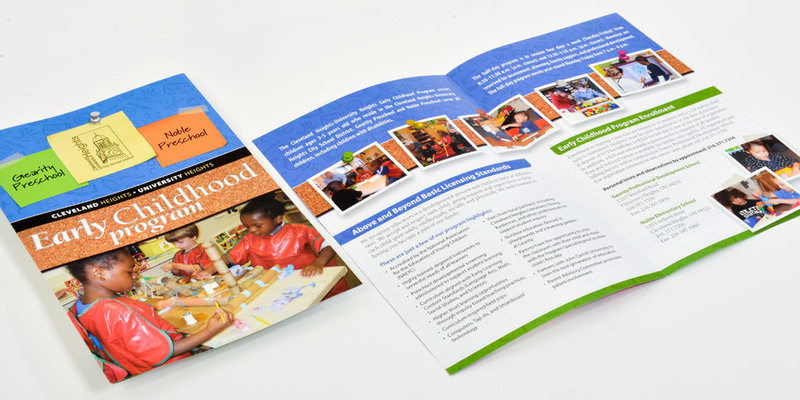 The Cleveland Heights-University Heights City School District needed a brochure that captured the essence and capabilities of their early childhood education program. They wanted to demonstrate warmth, caring and professionalism while outlining their dynamic program. We gave them a piece with wow-factor, while giving parents the information they needed. Grabbing attention and delivering differentiated messages are important and typical marketing tasks. We know. We’ve been there – and done that. And, done it in award winning ways. Boom Creative is an award-winning design firm that understands the practical challenges of your marketing needs. Give us a call and see what we can do for you.